DRY AS TOAST: Would You Still be Counting After 20 Kids? Would You Still be Counting After 20 Kids? I haven't had cable at home for almost two years now, but when you eat, sleep, and breathe the Internet, there's just no escaping some news. This week, bloggers, news sites, and even my Facebook peeps were chatting about the Duggar family and their latest announcement. 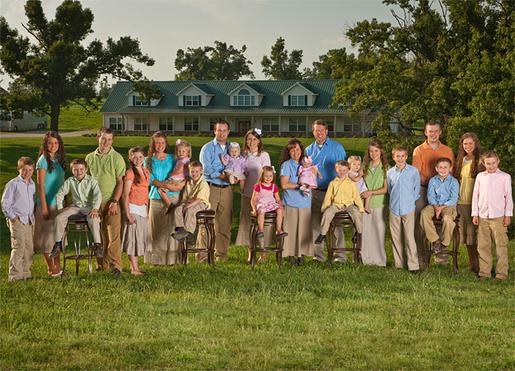 For those who are not familiar with TLC's 19 Kids and Counting, the reality show follows the lives of Jim-Bob and Michelle Duggar as they raise their rather large clan in Tontitown, Arkansas. On Tuesday, the entire family paid a visit to the Today show to announce that they're expecting their 20th child. Twenty kids. All conceived and brought into the world by one woman. My body hurts just thinking about it. 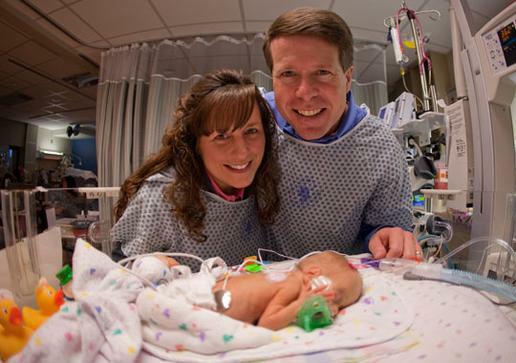 The Duggars have already received their share of criticisms over the years especially after their 19th child, Josie, had to be delivered three and a half months prematurely in order to save Michelle's life. The baby weighed only one pound six ounces, was born with a perforated bowel, and had several medical emergencies while the mother suffered gall bladder problems and preeclampsia during the pregnancy. Not only does this put her at higher risk for preeclampsia in subsequent pregnancies, but doctors also say Michelle could face a higher chance of excessive "bleeding after delivery if her stretched-out uterus can't contract to its normal size as well as it used to." And so people are wondering why the 45-year-old is willing to risk her life for a 20th child. The family has their child raising down to a set order: older siblings are paired with a younger child to mentor and look after; everyone is home schooled, restricted from using the Internet and television shows, and are taught to play an instrument; they follow fundamentalist Christian beliefs and rules on politeness; and the older children practice chaperoned courting instead of dating around and abstain from physical contact until marriage. To the girl who grew up in a completely different world, some of it sounds stifling, but how would you keep order in a house of so many? 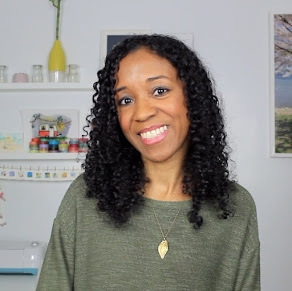 Obviously we're only shown snippets and moments in their day that are then strung together to create these episodes, but calm and cheerful Michelle seems to have the job under control. My parents come from fairly big households, which is not uncommon in the Dominican Republic. My father is the youngest of seven siblings while my mom comes from a home with 11 children. In my mother's case, the older kids had to grow up quickly, abide by some fairly harsh rules, raise the little ones, maintain the house, and, in many cases, put their education and career dreams aside to earn an income. Though they were well off by the village's standards, I've wondered why my grandparents would take that extra strain on. To make sure at least one of their children made it somewhere? Would the kids have had a better shot if their resources didn't have to be divided as much? But at the end of the day, does society have a right to say if bearing so many children is right or irresponsible? That choice clearly isn't for all of us, it sure as hell isn't for me, but if each of those children are well taken care of, receive the attention, education, and room to grow, then we can't really dictate what one family should or shouldn't do. Would I personally risk my child's life and mine, go into severe debt, and quite possibly go insane? Absolutely not. And for those who think TLC's programming is a bit procreation happy (though I have to admit I did love me some Jon & Kate Plus 8 back in the day and was quite sad when they split), I recently attended an event for the channel's second season of A Conception Story. This one follows six couples going through different fertility issues as they try to have a baby. The four couples present at the press gathering were all so open and honest about a topic that typically carries shame and secrecy and I really appreciated that along with the humor they still managed to inject into the situation. I do wonder how they feel about the Duggars and if they ever look to them with envy or pain because it seems to come so easily for them. In addition to coming away with questions about whether or not my petite self would have problems when I'm ready for a family, I also received a pink bag full of First Response ovulation, fertility, and pregnancy kits and more sticks to pee on than I know what to do with. They're stored away for now (and to keep A. from getting nervous), but I'm sure they will come in handy years from now when I decide to have a child or two at most. I won't say much except to say, I was told "overpopulation of the planet Earth" is a myth by someone that actually believed that. Actually, I've seen the show since "14 kids and counting" and it's been going since well before 2008, because I remember actually "seeing" the children. Just saying. I'd love a large family, and applaud them for what a wonderful job they seem to be doing with raising their children. However, when it begins to be a huge risk to your life to continue having children, I would think it's time to stop. They don't do birth control; fair enough, but there are ways to make sure no children happen again, and if it was me what happened with little Josie would have had me requesting - especially with her being the 19th child - for them to remove the equipment while they're in there. 20 kids is all well and good, but how can you enjoy the children you have when you're busy risking your life to have more of them? At the same time, being someone who is desperate to start a family, I can understand why Michelle would be prepared to take the risk. Wow, I can't say I have the strength to pop out a 3rd one. Can't believe she is having her 20th! But I am not passing any judgement, they seem like a wonderful family. My biggest issue with this is the attention to the children. how does one get to know each kid individually? And as for not using birth control... There are A Lot of people who don't believe in using it but very few Duggars. Before I finished reading I was ready to comment about our mothers and their many siblings..and how they were also paired off..one older child and a younger one. Not sure what to think about the Duggars...big families are great at a big farm or something of the sort (btw I don't know the living situation of the Duggars). Pero for me in NYC I'm thinking just 2 would be plenty fine for me. I think society has a moral obligation to keep one another in check with regard to many things, but size of family is not one of them. I also hope that those with fertility issues look at families like the Duggars, or like mine with 3 children, and simply wish them well. Just as those who easily conceive hope that those who cannot so easily do so receive exactly what they are meant to. I hope it's neither envy nor pain. Neither are productive feelings/emotions to fester on. After having my own three babies, I am more convinced than ever I would want to adopt children who have already been given a world's opportunity and just need a fostering environment. I just need to convince Hubs. They all seem happy and healthy. I think those kids get more one on one time with their parents than some kids without siblings. I say that as long as they're taking care of their kids, who am I to judge?